Sustainable architecture requires development of new materials with tailored optical, mechanical, and thermal properties to provide both aesthetic appeal and energy-saving functionalities. Polymers and polymer-based composites emerge as promising lightweight and conformable materials whose optical spectra can be engineered to achieve both goals. Here, we report on the development of new types of organic-inorganic films composed of ultrahigh molecular weight polyethylene with a variety of organic and inorganic nano- and micro-scale inclusions. The films simultaneously provide ultra-light weight, conformability, either visual coloring or transparency on demand, and passive thermal management via both conduction and radiation. The lightweight semi-crystalline polymer matrix yields thermal conductivity exceeding that of many metals, allowing for the lateral heat spreading and hot spots mitigation in the cases of partial illumination of films by sunlight. It also yields excellent broadband transparency, allowing for the opportunities to shape the spectral response of composite materials via targeted addition of inclusions with tailored optical spectra. We demonstrate a variety of dark- and bright-colored composite samples that exhibit reduced temperatures under direct illumination by sunlight, and outline strategies for materials design to further improve material performance. E. M. Strobach and S. V. Boriskina, “Daylighting,” Opt. Photonics News 29(11), 24 (2018). G. Smith, A. Gentle, M. Arnold, and M. Cortie, “Nanophotonics-enabled smart windows, buildings and wearables,” Nanophotonics 5(1), 55–73 (2016). K. I. Jensen, J. M. Schultz, and F. H. Kristiansen, “Development of windows based on highly insulating aerogel glazings,” J. Non-Cryst. Solids 350, 351–357 (2004). E. Rephaeli, A. Raman, and S. Fan, “Ultrabroadband photonic structures to achieve high-performance daytime radiative cooling,” Nano Lett. 13(4), 1457–1461 (2013). M. M. Hossain and M. Gu, “Radiative cooling: principles, progress, and potentials,” Adv. Sci. 3(7), 1500360 (2016). P. Berdahl, “Radiative cooling with MgO and/or LiF layers,” Appl. Opt. 23(3), 370 (1984). X. Sun, Y. Sun, Z. Zhou, M. A. Alam, and P. Bermel, “Radiative sky cooling: fundamental physics, materials, structures, and applications,” Nanophotonics 6(5), 997–1015 (2017). A. R. Gentle, K. L. Dybdal, and G. B. Smith, “Polymeric mesh for durable infra-red transparent convection shields: Applications in cool roofs and sky cooling,” Sol. Energy Mater. Sol. Cells 115, 79–85 (2013). A. R. Gentle and G. B. Smith, “Radiative heat pumping from the Earth using surface phonon resonant nanoparticles,” Nano Lett. 10(2), 373–379 (2010). 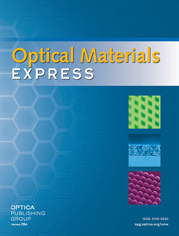 S. V. Boriskina, “Optics on the Go,” Opt. Photonics News 28(9), 34 (2017). F. Cao, Y. Huang, L. Tang, T. Sun, S. V. Boriskina, G. Chen, and Z. Ren, “Toward a high-efficient utilization of solar radiation by quad-band solar spectral splitting,” Adv. Mater. 28(48), 10659–10663 (2016). A. Mojiri, R. Taylor, E. Thomsen, and G. Rosengarten, “Spectral beam splitting for efficient conversion of solar energy—A review,” Renewable Sustainable Energy Rev. 28, 654–663 (2013). K. McEnaney, L. Weinstein, D. Kraemer, H. Ghasemi, and G. Chen, “Aerogel-based solar thermal receivers,” Nano Energy 40, 180–186 (2017). L. A. Weinstein, K. McEnaney, E. Strobach, S. Yang, B. Bhatia, L. Zhao, Y. Huang, J. Loomis, F. Cao, S. V. Boriskina, Z. Ren, E. N. Wang, and G. Chen, “A Hybrid Electric and Thermal Solar Receiver,” Joule 2(5), 962–975 (2018). V. H. Dalvi, S. V. Panse, and J. B. Joshi, “Solar thermal technologies as a bridge from fossil fuels to renewables,” Nat. Clim. Chang. 5(11), 1007–1013 (2015). F. Cao, K. McEnaney, G. Chen, and Z. Ren, “A review of cermet-based spectrally selective solar absorbers,” Energy Environ. Sci. 7(5), 1615 (2014). G. Ni, G. Li, S. V. Boriskina, H. Li, W. Yang, T. Zhang, and G. Chen, “Steam generation under one sun enabled by a floating structure with thermal concentration,” Nat. Energy 1(9), 16126 (2016). A. Raza, J.-Y. Lu, S. Alzaim, H. Li, T. Zhang, A. Raza, J.-Y. Lu, S. Alzaim, H. Li, and T. Zhang, “Novel receiver-enhanced solar vapor generation: review and perspectives,” Energies 11(1), 253 (2018). J. H. Reif and W. Alhalabi, “Solar-thermal powered desalination: Its significant challenges and potential,” Renewable Sustainable Energy Rev. 48, 152–165 (2015). J. K. Tong, X. Huang, S. V. Boriskina, J. Loomis, Y. Xu, and G. Chen, “Infrared-transparent visible-opaque fabrics for wearable personal thermal management,” ACS Photonics 2(6), 769–778 (2015). S. V. Boriskina, “Nanoporous fabrics could keep you cool,” Science 353(6303), 986–987 (2016). Y. Peng, J. Chen, A. Y. Song, P. B. Catrysse, P.-C. Hsu, L. Cai, B. Liu, Y. Zhu, G. Zhou, D. S. Wu, H. R. Lee, S. Fan, and Y. Cui, “Nanoporous polyethylene microfibres for large-scale radiative cooling fabric,” Nat. Sustain. 1(2), 105–112 (2018). P.-C. Hsu, A. Y. Song, P. B. Catrysse, C. Liu, Y. Peng, J. Xie, S. Fan, and Y. Cui, “Radiative human body cooling by nanoporous polyethylene textile,” Science 353(6303), 1019–1023 (2016). P.-C. Hsu, X. Liu, C. Liu, X. Xie, H. R. Lee, A. J. Welch, T. Zhao, and Y. Cui, “Personal Thermal Management by Metallic Nanowire-Coated Textile,” Nano Lett. 15(1), 365–371 (2015). L. Cai, A. Y. Song, P. Wu, P.-C. Hsu, Y. Peng, J. Chen, C. Liu, P. B. Catrysse, Y. Liu, A. Yang, C. Zhou, C. Zhou, S. Fan, and Y. Cui, “Warming up human body by nanoporous metallized polyethylene textile,” Nat. Commun. 8(1), 496 (2017). P.-C. Hsu, C. Liu, A. Y. Song, Z. Zhang, Y. Peng, J. Xie, K. Liu, C.-L. Wu, P. B. Catrysse, L. Cai, S. Zhai, A. Majumdar, S. Fan, and Y. Cui, “A dual-mode textile for human body radiative heating and cooling,” Sci. Adv. 3(11), e1700895 (2017). B. Gauvreau, N. Guo, K. Schicker, K. Stoeffler, F. Boismenu, A. Ajji, R. Wingfield, C. Dubois, and M. Skorobogatiy, “Color-changing and color-tunable photonic bandgap fiber textiles,” Opt. Express 16(20), 15677 (2008). Y. Zhai, Y. Ma, S. N. David, D. Zhao, R. Lou, G. Tan, R. Yang, and X. Yin, “Scalable-manufactured randomized glass-polymer hybrid metamaterial for daytime radiative cooling,” Science 355(6329), 1062–1066 (2017). J. Kou, Z. Jurado, Z. Chen, S. Fan, and A. J. Minnich, “Daytime radiative cooling using near-black infrared emitters,” ACS Photonics 4(3), 626–630 (2017). J. Mandal, Y. Fu, A. C. Overvig, M. Jia, K. Sun, N. N. Shi, H. Zhou, X. Xiao, N. Yu, and Y. Yang, “Hierarchically porous polymer coatings for highly efficient passive daytime radiative cooling,” Science 362(6412), 315–319 (2018). W. Li, Y. Shi, Z. Chen, and S. Fan, “Photonic thermal management of coloured objects,” Nat. Commun. 9(1), 4240 (2018). G. J. Lee, Y. J. Kim, H. M. Kim, Y. J. Yoo, and Y. M. Song, “Colored, daytime radiative coolers with thin-film resonators for aesthetic purposes,” Adv. Opt. Mater. 6(22), 1800707 (2018). D. Beysens, M. Muselli, I. Milimouk, C. Ohayon, S. Berkowicz, E. Soyeux, M. Mileta, and P. Ortega, “Application of passive radiative cooling for dew condensation,” Energy 31(13), 2303–2315 (2006). T. M. J. Nilsson, W. E. Vargas, G. A. Niklasson, and C. G. Granqvist, “Condensation of water by radiative cooling,” Renewable Energy 5(1-4), 310–317 (1994). T. M. J. Nilsson and G. A. Niklasson, “Radiative cooling during the day: simulations and experiments on pigmented polyethylene cover foils,” Sol. Energy Mater. Sol. Cells 37(1), 93–118 (1995). ASTM, Standard G173-03 - Standard Tables for Reference Solar Spectral Irradiances : Direct Normal and Hemispherical on 37° Tilted Surface (2013), Vol. 03. A. Ruiz-Clavijo, Y. Tsurimaki, O. Caballero-Calero, G. Ni, G. Chen, S. V. Boriskina, and M. Martín-González, “Engineering a Full Gamut of Structural Colors in All-Dielectric Mesoporous Network Metamaterials,” ACS Photonics 5(6), 2120–2128 (2018). N. S. King, L. Liu, X. Yang, B. Cerjan, H. O. Everitt, P. Nordlander, and N. J. Halas, “Fano Resonant Aluminum Nanoclusters for Plasmonic Colorimetric Sensing,” ACS Nano 9(11), 10628–10636 (2015). T. S. Eriksson, E. M. Lushiku, and C. G. Granqvist, “Materials for radiative cooling to low temperature,” Sol. Energy Mater. 11(3), 149–161 (1984). C. G. Granqvist, A. Hjortsberg, and T. S. Eriksson, “Radiative cooling to low temperatures with selectivity IR-emitting surfaces,” Thin Solid Films 90(2), 187–190 (1982). N. H. Thomas, Z. Chen, S. Fan, and A. J. Minnich, “Semiconductor-based multilayer selective solar absorber for unconcentrated solar thermal energy conversion,” Sci. Rep. 7(5), 5362 (2017). S. V. Boriskina, J. K. Tong, W.-C. Hsu, B. Liao, Y. Huang, V. Chiloyan, and G. Chen, “Heat meets light on the nanoscale,” Nanophotonics 5(1), 134–160 (2016). A. P. Raman, M. A. Anoma, L. Zhu, E. Rephaeli, and S. Fan, “Passive radiative cooling below ambient air temperature under direct sunlight,” Nature 515(7528), 540–544 (2014). H. Akbari and D. Kolokotsa, “Three decades of urban heat islands and mitigation technologies research,” Energy Build. 133, 834–842 (2016). H. Takebayashi, Takebayashi, and Hideki, “A simple method to evaluate adaptation measures for urban heat island,” Environments 5(6), 70 (2018). Y. Xu, D. Kraemer, B. Song, Z. Jiang, J. Zhou, J. Loomis, J. Wang, M. Li, H. Ghasemi, X. Huang, X. Li, and G. Chen, “Nanostructured polymer films with metal-like thermal conductivity,” ArXiV:1708.06416 (2017). J. Loomis, H. Ghasemi, X. Huang, N. Thoppey, J. Wang, J. K. Tong, Y. Xu, X. Li, C.-T. Lin, and G. Chen, “Continuous fabrication platform for highly aligned polymer films,” Technology 02(03), 189–199 (2014). R. S. Stein, “The orientation of polyethylene,” J. Polym. Sci. 34(127), 709–720 (1959). R. S. Stein and F. H. Norris, “The x-ray diffraction, birefringence, and infrared dichroism of stretched polyethylene,” J. Polym. Sci. 21(99), 381–396 (1956). D. Romano, N. Tops, J. Bos, and S. Rastogi, “Correlation between thermal and mechanical response of nascent semicrystalline UHMWPEs,” Macromolecules 50(5), 2033–2042 (2017). F. Lednický, M. Šlouf, J. Kratochvíl, J. Baldrian, and D. Novotná, “Crystalline Character and Microhardness of Gamma-Irradiated and Thermally Treated UHMWPE,” J. Macromol. Sci., Part B: Phys. 46(3), 521–531 (2007). S. Rastogi, D. R. Lippits, G. W. H. Höhne, B. Mezari, and P. C. M. M. Magusin, “The role of the amorphous phase in melting of linear UHMW-PE; implications for chain dynamics,” J. Phys. : Condens. Matter 19(20), 205122 (2007). L. Zhu, A. Raman, K. X. Wang, M. A. Anoma, and S. Fan, “Radiative cooling of solar cells,” Optica 1(1), 32 (2014). S. Krimm, C. Y. Liangt, and G. B. B. M. Sutherland, “Infrared spectra of high polymers. II. Polyethylene,” J. Polym. Sci. XXVII, 241–254 (1958). P. Chollet, “Determination by infrared absorption of the orientation of molecules in monomolecular layers,” Thin Solid Films 52(3), 343–360 (1978). T. Okada and L. Mandelkern, “Effect of morphology and degree of crystallinity on the infrared absorption spectra of linear polyethylene,” J. Polym. Sci., Part A-2 5(2), 239–262 (1967). H. Hagemann, R. G. Snyder, A. J. Peacock, and L. Mandelkern, “Quantitative infrared methods for the measurement of crystallinity and its temperature dependence: polyethylene,” Macromolecules 22(9), 3600–3606 (1989). S. Shen, A. Henry, J. Tong, R. Zheng, and G. Chen, “Polyethylene nanofibres with very high thermal conductivities,” Nat. Nanotechnol. 5(4), 251–255 (2010). M. J. Assael, S. Botsios, K. Gialou, and I. N. Metaxa, “Thermal Conductivity of Polymethyl Methacrylate (PMMA) and Borosilicate Crown Glass BK7,” Int. J. Thermophys. 26(5), 1595–1605 (2005). “Thermal conductivity of common materials and gases,” https://www.engineeringtoolbox.com/thermal-conductivity-d_429.html . N. S. J. A. Gerrits, R. J. Young, and P. J. Lemstra, “Tensile properties of biaxially drawn polyethylene,” Polymer 31(2), 231–236 (1990). Y. M. Boiko, V. A. Marikhin, L. P. Myasnikova, O. A. Moskalyuk, and E. I. Radovanova, “Statistical analysis of the strength of ultra-oriented ultra-high-molecular-weight polyethylene film filaments in the framework of the Weibull model,” Phys. Solid State 58(10), 2141–2144 (2016). B. Bhatia, A. Leroy, Y. Shen, L. Zhao, M. Gianello, D. Li, T. Gu, J. Hu, M. Soljačić, and E. N. Wang, “Passive directional sub-ambient daytime radiative cooling,” Nat. Commun. 9(1), 5001 (2018). S. V. Boriskina, H. Zandavi, B. Song, Y. Huang, and G. Chen, “Heat is the new light,” Opt. Photonics News 28, 26–33 (2017). S. H. Zandavi, Y. Huang, G. Ni, R. Pang, R. M. Osgood, P. Kamal, A. Jain, G. Chen, and S. V. Boriskina, “Polymer metamaterial fabrics for personal radiative thermal management,” in Frontiers in Optics 2017 (OSA, 2017), p. FM4D.6. S. V. Boriskina, J. Tong, L. Weinstein, W.-C. Hsu, Y. Huang, and G. Chen, “Thermal emission shaping and radiative cooling with thermal wells, wires and dots,” in Advanced Photonics 2015 (OSA, 2015), p. IT2A.3. S. V. Boriskina, L. A. Weinstein, J. K. Tong, W.-C. Hsu, and G. Chen, “Hybrid optical–thermal antennas for enhanced light focusing and local temperature control,” ACS Photonics 3(9), 1714–1722 (2016). H. A. Kim and S. J. Kim, “Wear comfort properties of ZrC/Al2O3/graphite-embedded, heat-storage woven fabrics for garments,” Text. Res. J., 2018, 004051751877068 (2018). S. Boriskina, J. Tong, Y. Huang, J. Zhou, V. Chiloyan, and G. Chen, “Enhancement and tunability of near-field radiative heat transfer mediated by surface plasmon polaritons in thin plasmonic films,” Photonics 2(2), 659–683 (2015). E. Yousif and R. Haddad, “Photodegradation and photostabilization of polymers, especially polystyrene: review,” SpringerPlus 2(1), 398 (2013). J.-M. Restrepo-Flórez, A. Bassi, and M. R. Thompson, “Microbial degradation and deterioration of polyethylene – A review,” Int. Biodeterior. Biodegrad. 88, 83–90 (2014). C. N. Muhonja, H. Makonde, G. Magoma, and M. Imbuga, “Biodegradability of polyethylene by bacteria and fungi from Dandora dumpsite Nairobi-Kenya,” PLoS One 13(7), e0198446 (2018). K. S. Veethahavya, B. S. Rajath, S. Noobia, and B. M. Kumar, “Biodegradation of low density polyethylene in aqueous media,” Procedia Environ. Sci. 35, 709–713 (2016). N. García, M. Hoyos, J. Guzmán, and P. Tiemblo, “Comparing the effect of nanofillers as thermal stabilizers in low density polyethylene,” Polym. Degrad. Stab. 94(1), 39–48 (2009). A. Edelstein and R. Cammaratra, eds., Nanomaterials: Synthesis, Properties and Applications, 2nd ed. (CRC Press, 1998). A. J. Peacock, Handbook of Polyethylene. Structures, Properties and Applications (CRC Press, 2000). E. Espí, A. Salmerón, A. Fontecha, Y. García, and A. I. Real, “Plastic films for agricultural applications,” J. Plast. Film Sheeting 22(2), 85–102 (2006). C. Balocco, L. Mercatelli, N. Azzali, M. Meucci, and G. Grazzini, “Experimental transmittance of polyethylene films in the solar and infrared wavelengths,” Sol. Energy 165, 199–205 (2018). N. Eisenreich and T. Rohe, in Encyclopedia of Analytical Chemistry (John Wiley & Sons, Ltd, 2006). D. Kraemer and G. Chen, “A simple differential steady-state method to measure the thermal conductivity of solid bulk materials with high accuracy,” Rev. Sci. Instrum. 85(2), 025108 (2014). Gerrits, N. S. J. A.
Magusin, P. C. M. M.
Sutherland, G. B. B. M.
Fig. 1. Wavelength spectra of (a) atmospheric transparency, (b) total terrestrial solar irradiance (red), infrared thermal emittance of a blackbody at temperature of 310 K (orange), and (c) CIE standard observer color matching functions underlying the basis of the color formation in human vision. Fig. 2. The spectra of total transmittance (a) and absorptance (b) of UHMWPE films of varying draw ratios, including as-cast (blue), drawn to elongate by 20 times (teal), and by 60 times (red). The transmittance spectrum of a window glass is shown for comparison in (a) as the gray line. The inset to (b) shows results of the differential scanning calorimetry (DSC) measurements of the films. (c) Haze parameter in the visible spectral range of the undrawn and drawn UHMWPE films of varying crystallinity and thickness as in (a,b). (e) Infrared emittance spectra of the UHMWPE films compared to that of a window glass. Fig. 3. (a-c) Photographs of the films of varying draw ratio and internal crystallinity, including undrawn (a), uniaxially drawn to elongate by 20 times (b) and by 60 times (c) UHMWPE films. (d-f) The corresponding SEM images of the UHMWPE films: undrawn (d), uniaxially drawn to elongate by 20 times (e) and by 60 times (f). Fig. 4. (a-c) Optical images of the UHMWPE films dark-colored by embedding (a) CuO nanoparticles (CuO black: 30 nm-sized particles, 20 wt% filling, film thickness 28 micron, x20 drawn), (b) a blue dye (10 wt% filling, film thickness 180 micron, undrawn), and (c) Si nanoparticles (Si gray: 100 nm-sized particles, 20 wt% filling, film thickness 54 micron, x20 drawn). (d) Optical image of a black-painted paper sample used for comparison as a black surface. (e,f) Total spectral reflectance (e) and absorptance (f) of the visible and near-infrared light by the dark-colored films shown in panels a-c (teal lines: CuO black, gray lines: Si gray, blue lines: blue dye). The corresponding spectra of the black paper are shown for comparison as the black lines. Fig. 5. (a-d) Optical images of the UHMWPE films light-colored by embedding (a) yellow dye (10 wt% filling, film thickness 8 micron, x20 drawn), (b) red dye (10 wt% filling, film thickness 14 micron, x20 drawn), (c) phosphorescent green pigment (10 wt% filling, film thickness 120 micron, undrawn), and (d) TiO2 nanoparticles (TiO2 white: 20 nm-sized particles, 20 wt% filling, film thickness 43 micron, x20 drawn). (e) Optical image of an aluminum sample used for comparison as a highly solar-reflective surface. (f,g) Total spectral reflectance (f) and absorptance (g) of the visible and near-infrared light by the light-colored films shown in panels a-d (yellow lines: yellow dye, red lines: red dye, teal lines: green pigment, blue lines: TiO2 white). The corresponding spectra of the aluminum foil are shown for comparison as the gray lines. Fig. 6. (a) Steady-state temperatures in excess of the ambient temperature of 22 oC reached by the dark-colored samples in Figs. 4(a)-(d) under continuous illumination by an artificial sunlight. (b) Infrared emittance of the dark-colored films compared to that of the black paint. Fig. 7. (a) Steady-state temperatures in excess of the ambient temperature of 22 oC reached by the light-colored samples in Figs. 5(a)-(e) under continuous illumination by an artificial sunlight. (b) Infrared emittance of the light-colored films compared to that of the aluminum foil. Fig. 8. (a) An optical image of a black paper sample illuminated by a laser beam. (b) The corresponding infrared image of the same sample showing the spatial temperature distribution. (c) The infrared image of the Si gray film illuminated by the same laser beam revealing the heat spreading laterally along the film, reducing the hot spot temperature. (d) Comparison of the cost, weight and thermal conductivity of semi-crystalline UHMWPE films with the corresponding characteristics of other common materials.